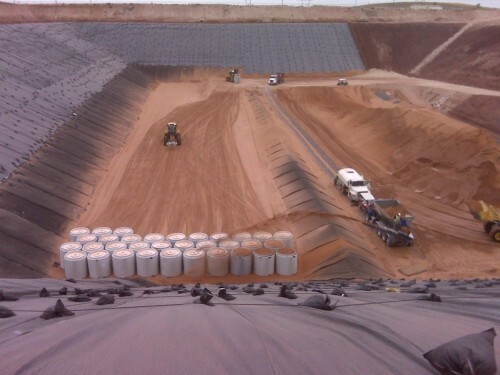 This week the Texas Commission on Environmental Quality (TCEQ) gave a company storing radioactive waste in West Texas the go-ahead to store more than three times the amount of waste it’s currently allowed to, but the company says it has no plans to actually do that. Before a ruling from the TCEQ on Wednesday, Waste Control Specialists had a license to store up to 2.39 million cubic feet of what’s called “low-level” radioactive waste. Now it’s allowed to store up to 9 million cubic feet, but WCS spokesperson Chuck McDonald says the company doesn’t have plans to expand, and that so far it’s only been storing a fraction of those amounts. McDonald says since the site’s been operating, it’s stored a total of 51,000 cubic feet of waste. “We are nowhere near even beginning to tap the surface of the current license ability of the site,” he says. But that’s not easing concerns from environmentalists who worry the expanded capacity is a step toward turning Andrews County into a radioactive wasteland. The Lone Star Chapter of the Sierra Club calls the new license a “dangerous move,” saying it’s a sign of the company moving away from its original intentions for the site. The company’s also now permitted to store waste with higher levels of radioactivity, although it still falls into that “low-level” category, and the amount of money it pays the state for insurance on the site has been cut by more than $50 million. WCS maintains it’s not looking to bring in high-level waste at the moment, but it has said in the past it’d be open to the idea. McDonald says the expanded license gives the company the option of housing waste from nuclear power plants when – and if – the state decides to de-commission those plants decades from now. Meanwhile, the site’s storing some barrels of waste from the Los Alamos National Lab in New Mexico. They were supposed to be transported to the Waste Isolation Pilot Plant in Carlsbad, but that site’s been shut down after a leak in February. Charles Maguire, the Director of TCEQ’s Radioactive Materials Division, says the agency is keeping a close eye on the waste in West Texas. He says monitors haven’t seen any problems yet. The cleanup at the Carlsbad site continues with workers just now being able to enter some areas without breathing equipment. 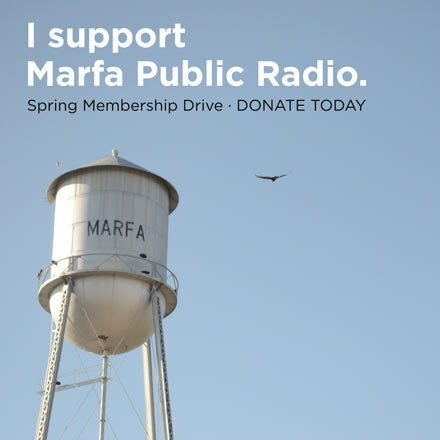 Click here for an extended conversation on radioactive waste storage in West Texas from our colleagues at Texas Public Radio. This entry was posted in KRTS News and tagged Andrews County, Energy, Environment, Los Alamos National Lab, Nuclear Power, Nuclear Research, Radioactive Waste, TCEQ, Waste Control Specialists. Bookmark the permalink.